An intuitive iPhone, iPad & Android App and web interface ensures fast learning and minimal training. Speed up inspections with pre-defined phrases, inspection and area cloning, and "voice to text" dictation. 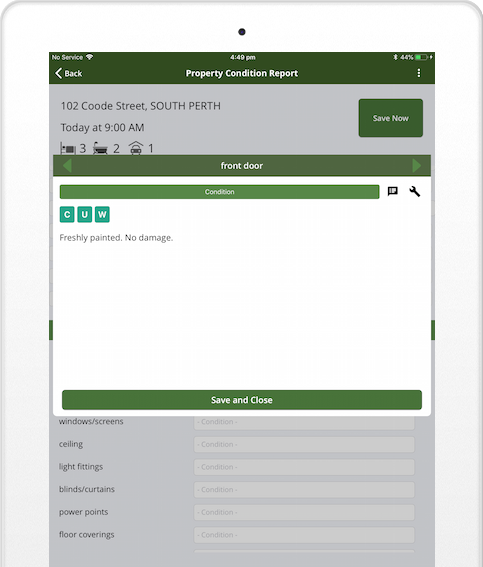 Instantly deliver inspection records from PropertyTree and REST Professional data, plus optional set-up imports from other systems. 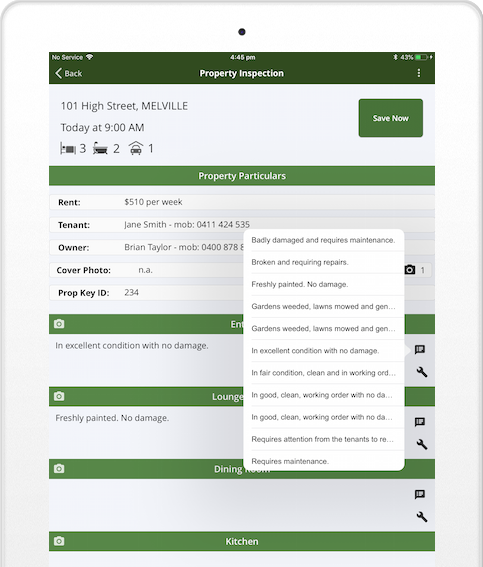 Routine inspection and ingoing/outgoing property condition reports with state-based compliant formats. Securely hosted on the Amazon (AWS) cloud platform providing reliability and optimal performance. As well as our online fact sheets and training webinars, we have a knowledgeable training and support team to assist all users. An iPhone, iPad or Android device. 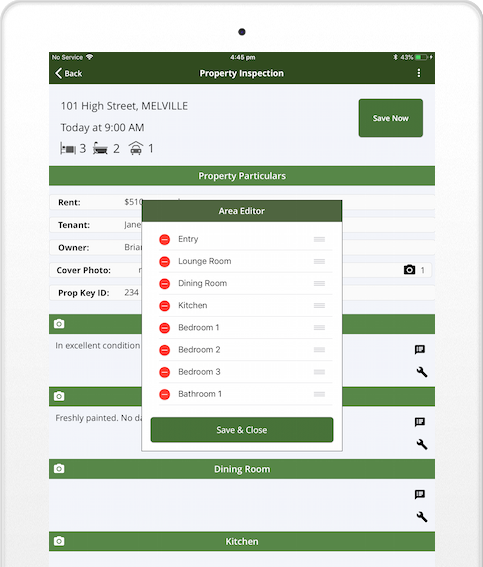 Inspections are performed on the device and synchronised back to your Rentfind Inspector web interface. Synchronising is not specific to an actual computer, and has nothing to do with iTunes or the iCloud. How do I get the Rentfind Inspector App? 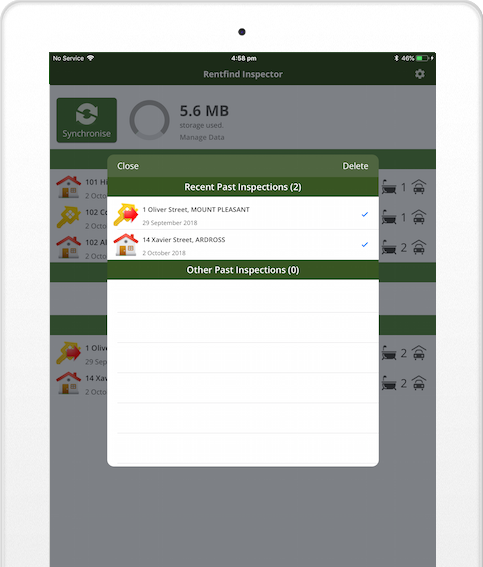 The Rentfind Inspector App is free, and can be downloaded from the App Store or Google Play. The Rentfind Inspector App will only work for users with either a subscribing or trial Rentfind Inspector account. Do I need an Internet connection at the inspection? No. 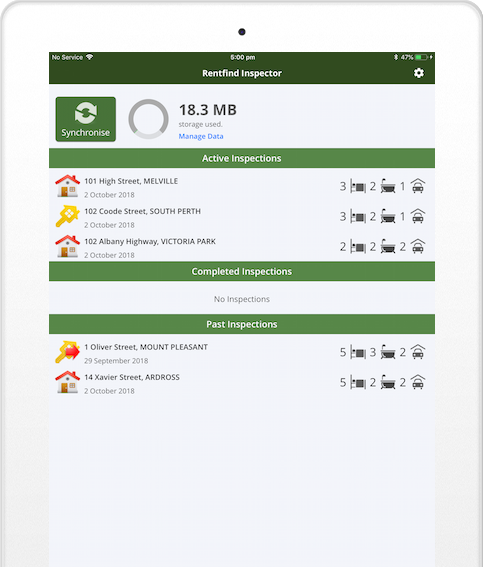 Inspections that are already synchronised to the App can be performed without Internet connectivity. A connection is required if you intend to log in, synchronise inspections, or to use Siri for dictation. A SIM card will provide connectivity, and you can optionally hotspot a smartphone. Yes. 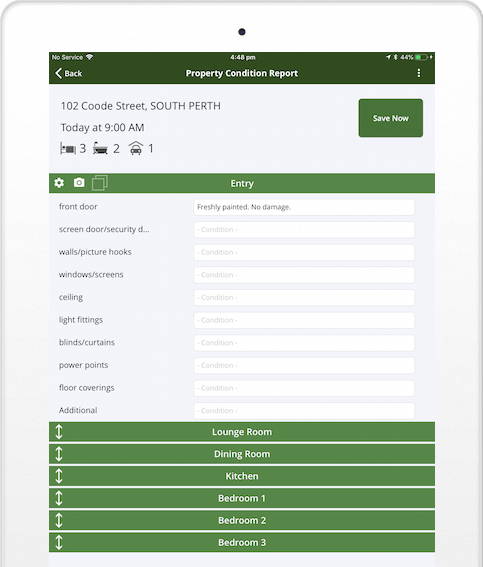 New users can provide us with a data extract of properties, owners and tenants which we will import into your account at no cost.